INA GARTEN is a New York Times bestselling author and the James Beard Award-winning host of Barefoot Contessa, which has won an Emmy Award and airs on Food Network. She lives in East Hampton, New York, with her husband, Jeffrey. This is her eleventh book. 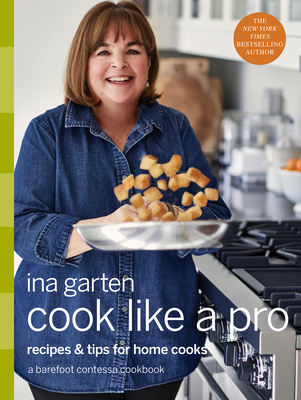 "Garten has kicked things up a level, this time encouraging readers to try more ambitious recipes that are still signature Ina: warm, comforting, homey." "As with everything else Ina has ever produced, this flawless book (her 11th!) is filled with trustworthy recipes that taste delicious and don't require a culinary degree to make (just a few of her pro tips)."